The moment we’ve all been waiting for! Lara finally heads out to rescue her friend Sam. She’s gathered the remnants of the old crew and I was treated to the a delightful new view of Jonah, if you know what I mean (you’ll get that after you read it). I also really enjoyed seeing a very sassy Sam. It was a little sad that she managed to be more interesting in one page than Lara is in the entire comic. I hate to say it, but this Lara is very one-note, much like the Lara of the game. I’m still holding on because of the mystery and the suggestion that this comic will show me the more ruthless Lara we all know and love from the old games. Despite my feelings on Lara, the writing is still top-notch, immersing me in the sadness and confusion of Lara’s life after Yamatai. The little details are great, and the art style is growing on me. I especially love the cover this time around, courtesy of Stephanie Hans. Looking forward to some answers in issue five! 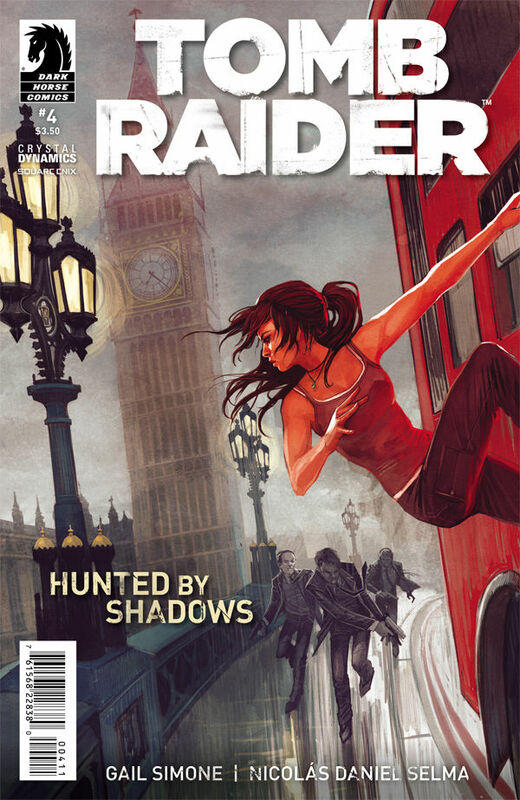 Buy Tomb Raider #4 here!